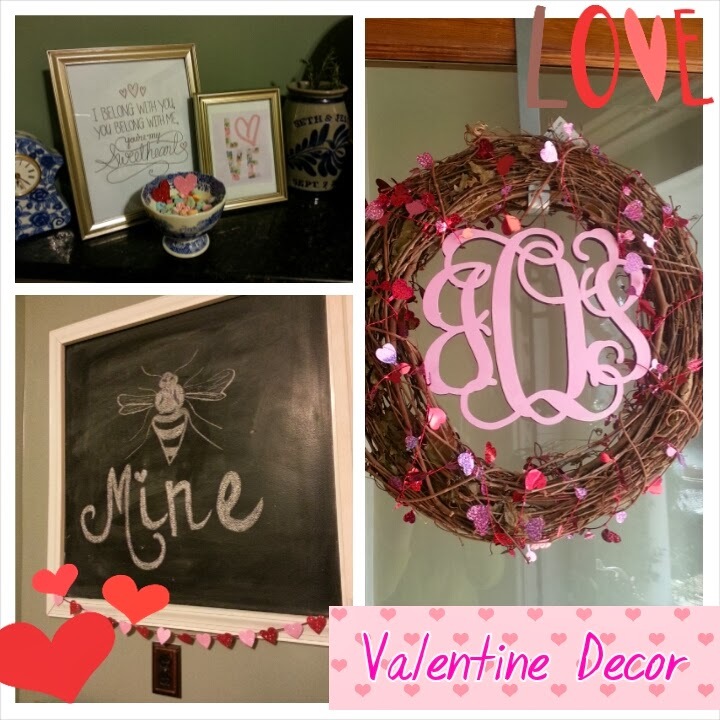 Jessi's Design: Intro to Valentines Day! 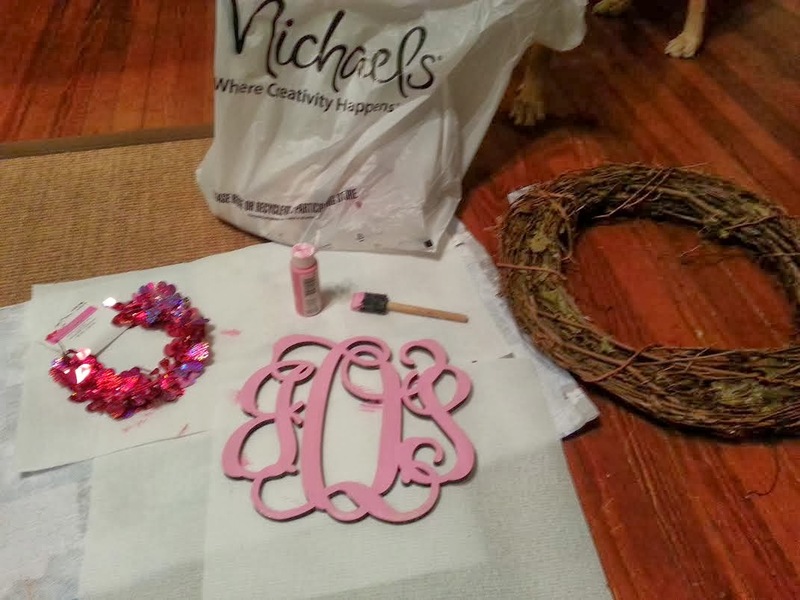 I painted the white monogram from our Christmas Wreath-I just love pink! Any excuse to use my hot glue gun is a good one! And 60 glitter hearts for a $1? Check! so I could reach it, taped the original to the side of the wall and went to town! Simple but cute! These printables are fabulous! Also via Pinterest! Thanks Melissa! Can't wait to see what you do! Love all of your decor! We don't do much for Valentines Day but you are inspiring me to put up SOME decorations! Love your wreath! I need to figure out what to do with our monogram! 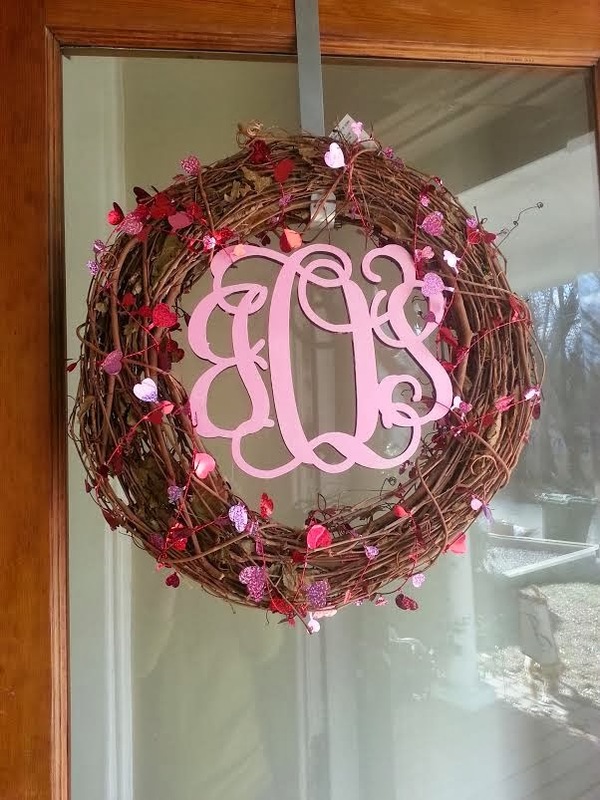 Ohhh, I love that monogrammed wreath!!! 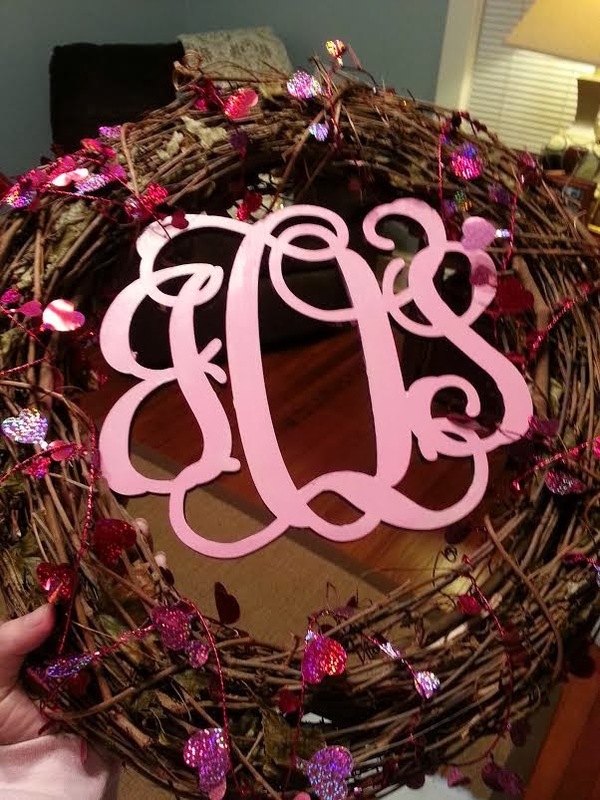 I have been wanting to do a monogrammed wreath... I'm not sure how large the monogram was, but spray paint works really good, too! That is what I used for my monogrammed canvas in our master bathroom! 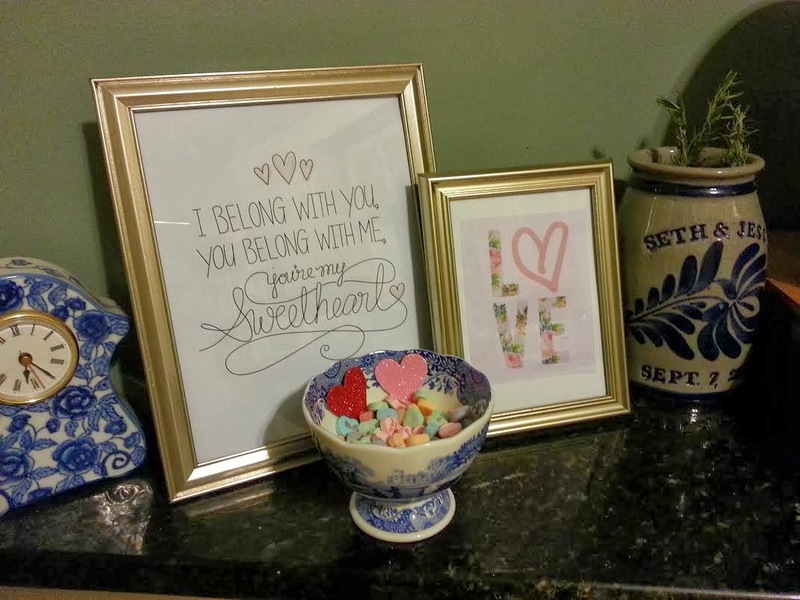 I put up some Valentine's Day decor at home this weekend too! 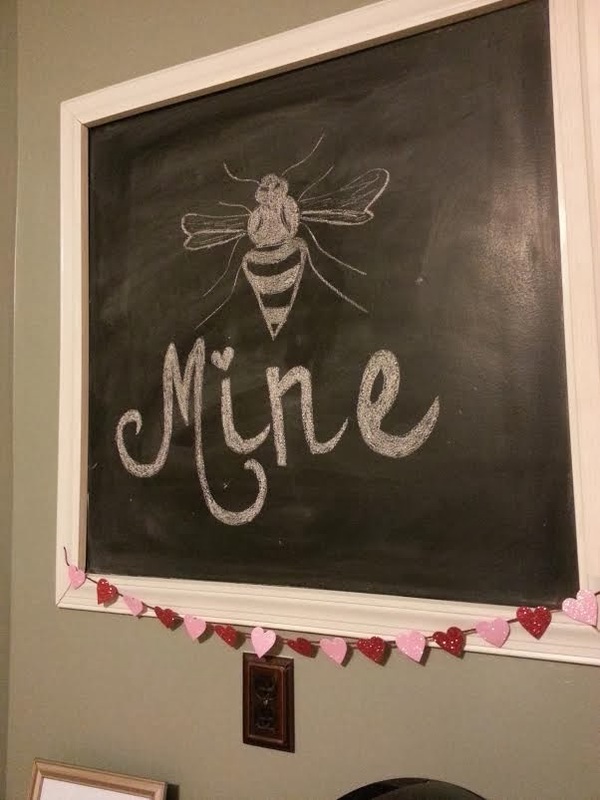 I think the hand-drawn bee from the 'Bee Mine' is my favorite! Very charming. Thank you!! It turned out better than I had thought it would for sure! so SO cute. thanks for sharing!! LOVE the bee mine!!! So cute! I've had my valentines stuff up for like a week and a half now! I love it! Your wreath is gorgeous! Love the Bee Mine! That wreath is so cute too...and so simple- never would have thought to just wrap some garland around a normal wreath! Thanks A! -so affordable to just to interchange!! Ahhh I Love love love love your wreath! 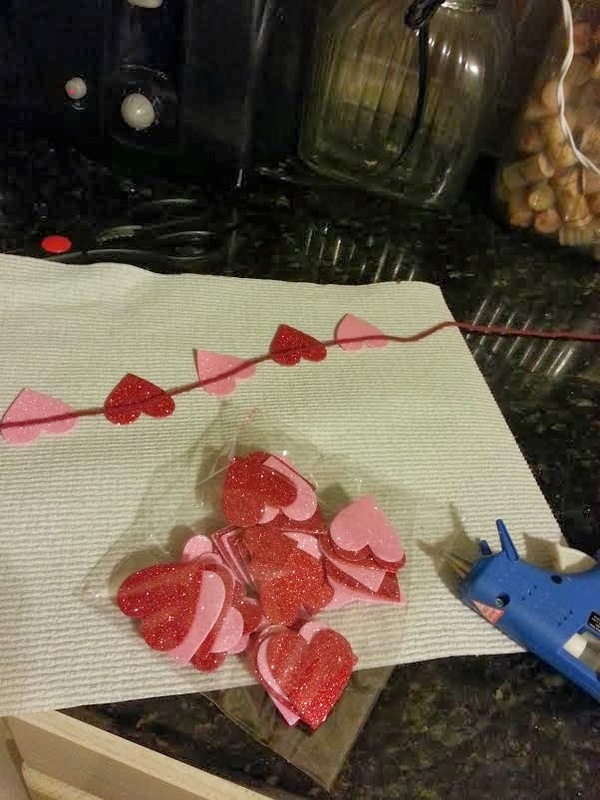 I don't have any Valentine's Day decorations up right now, but I think I will put some up now after seeing these super easy ideas! Thanks love! GREAT WORK!! Candy hearts are my valentines fav! agreed! My husband keeps eating them all though! Love the wreath, I keep telling myself I'm going to make one but still haven't. I need to get on it! Love it! Your wreath is just so cute, you did a great job with it!